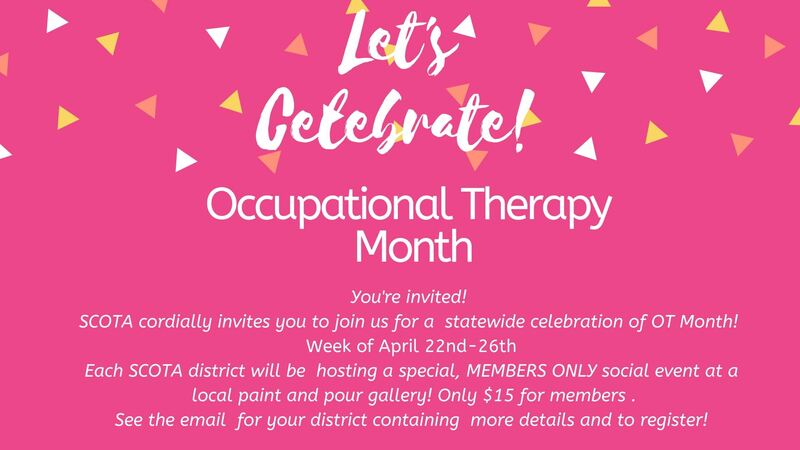 April is Occupational Therapy month, and the Lowcountry District of SCOTA cordially invites you to join us in celebration! Join us for a fun night of painting and networking. Paintings will be donated to a local therapy facility to brighten a treatment session for clients and to show our community that SCOTA cares. Light refreshments and wine samplings will be provided. The registration deadline is April 10, 2019. Please email adminscota@gmail.com if you have any questions.